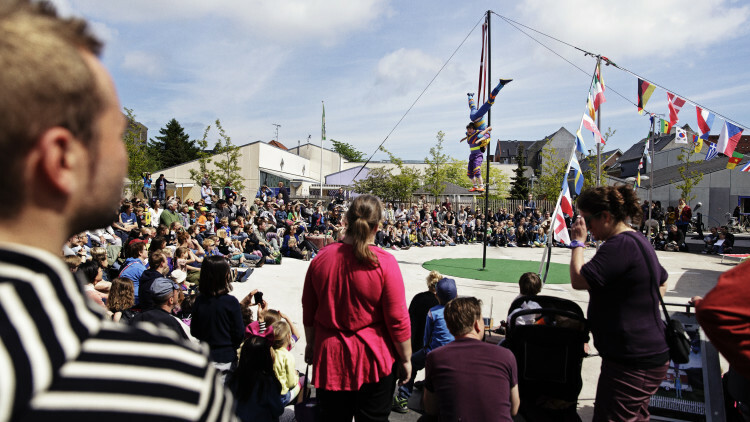 SpringFestival 2019 is an international children’s theatre festival in Copenhagen. Denmark is famous for its unique children’s theatre and with this festival we would like to introduce the audience to childrens’ theatre from around the world and show the best of the best within theatre performance for children and young people. For seven days, we transform the venues at ZeBU:, BETA, Amager Bio, Børnekulturhus Ama’r and the entire Amager Kulturpunkt to a Mecca of theatre, dance, modern circus and other types of performing arts intended for children and young people. With SpringFestival 2019, we want to present a wide selection of genres within modern performing arts for children and young people such as speech-based shows, dance shows, musical theatre shows, performance theatre, puppet theatre and productions that utilise the electronic media. SpringFestival 2019 is organised by ZeBU in cooperation with Amager Kulturpunkt and Børnekulturhus Ama’r.